Last year I was taken with a sudden and feverish desire to master what some call the NATO Phonetic Alphabet. You know: Alpha, Bravo, Charlie, for ABC. Except a phonetic alphabet is, in fact, something else; it’s a notational standard for the representation of a language. It’s about how to pronounce the language. By contrast, the radio alphabet, allows you to accurately transcribe letters by assigning a word for each letter. Handily, the words assigned start with the letter they’re assigned to. 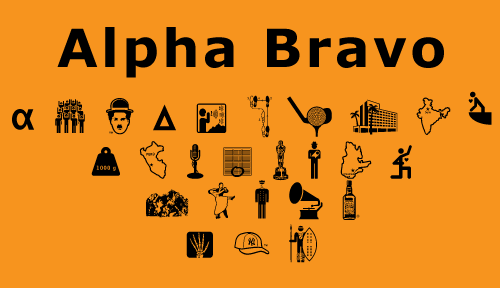 So, Alpha for A, Bravo for B, and so on. It’s about reading it out to someone across, say, a radio, and being reasonably certain they won’t mistake a P for a T.